Salvaged machinery has left gapping holes in the third floor of the sugar mill leading to a dramatic sub-floor lighting. Beams through the broken, blacked out window added to the atmosphere of decay. My first question for you: how did you manage to scale that nearly-destoryed building?! 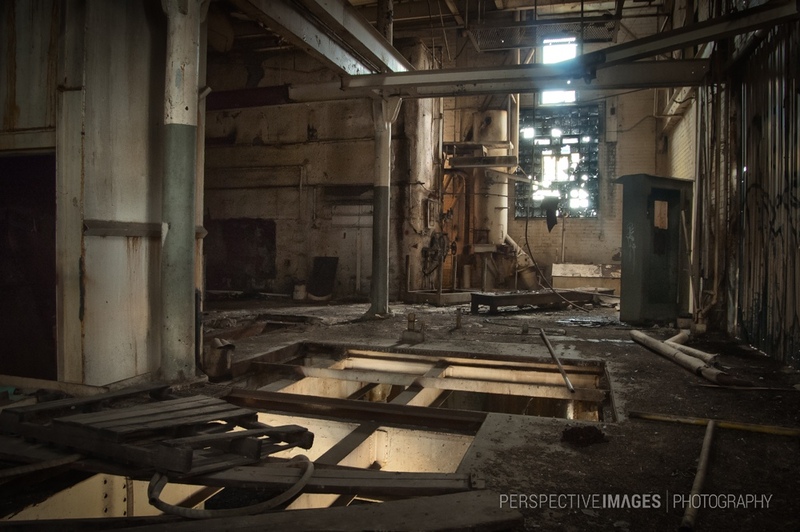 What a shot though … I used to want to travel the abandon buildings in Detroit … but I am not brave enough! I recently photographed at Pennhurst an abandoned asylum. I am a fan of this type of photography. I like all of the lines, the gradations of light and the shadows. This would make a great HDR image too. Excellent shot. What a great place to get to shoot. I love abandoned places like that. Very brave too. i always think about their previous life whenever i see places like this, cool place !